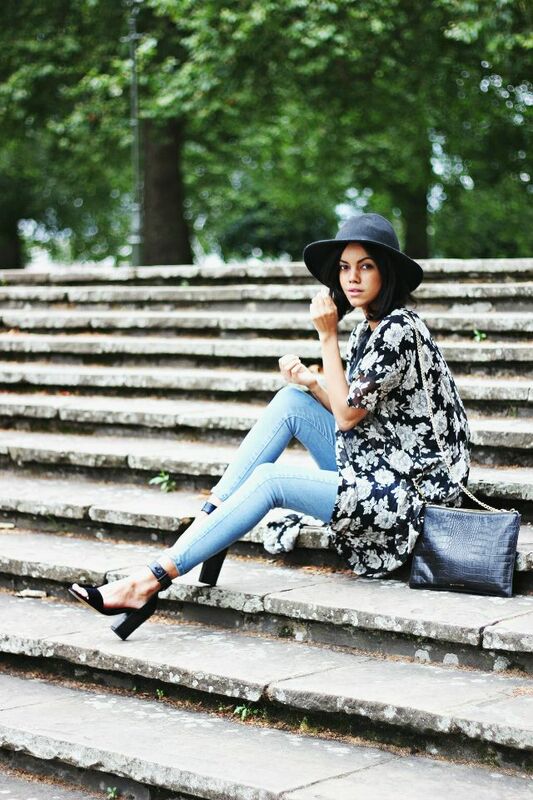 Kimono, Brandy Melville, £39 | Whistles bag, secondhand, £50 | Hat, Miss Selfridge, £25 | Jeans, £36 & Heels, £55 - both Topshop. I hope y'all got the Taylor Swift reference in my blog post title, because '22' has been my number one song as of late (well let's be honest, it has been since it was first released) - as on the fifteenth of this month I'll be turning twenty two! I really am happy, free, confused and lonely all at the same time, but I have to say that my twenties have been pretty darn lovely so far. To celebrate my birthday, I've booked a week off work, am taking a somewhat impromptu trip to Berlin (with a guy. Yes, you read that correctly...) and plan to make the most of many happy hours. Life isn't lookin' half bad at the moment. Speaking of things that aren't looking half bad - how amazin' is my new kimono? I'm like a magpie when it comes to spotting William Morris and Morris inspired prints, so the moment this caught my eye in Brandy Melville I just couldn't leave it behind. I've been spending quite a bit on myself recently (yes those are new shoes, too! 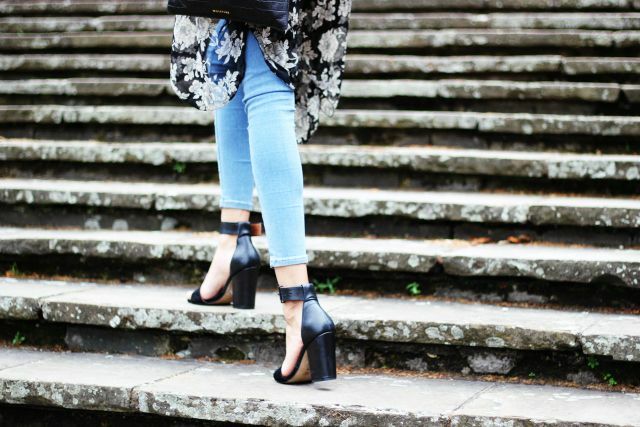 ), so to stop me feelin' guilty, let's just call the kimono and heels early birthday presents, okay? Chat soon! Love, Jazmine. With a guy! eeeeep! Exciting. Ps happy birthday :) Mines on the tenth. Eeep. Love the kimono and those heels! Lovely. I just love everything about your outfit. you look so good! enjoy your trip! Love the hat and the heels! Gorgeous you and beautiful outfit - just perfect! You're so pretty! Take lots of pictures in Berlin! The whole outfit is GORG!!! Gorgeous outfit. I might have to splurge on that kimono. And for some reason, the song '22' gets me singing, loud, even though I'm going to be turning 24 this year :) Enjoy your birthday! Wonderful outfit, looks so pretty! I love your Kimono! It''s lovely =) I love Berlin, have a great time and a happy Birthday!